สตาร์บัคส์จะปลดเปลื้อง Frappuccino ครีมจาก Hojicha ด้วยซอร์คาราเมล! 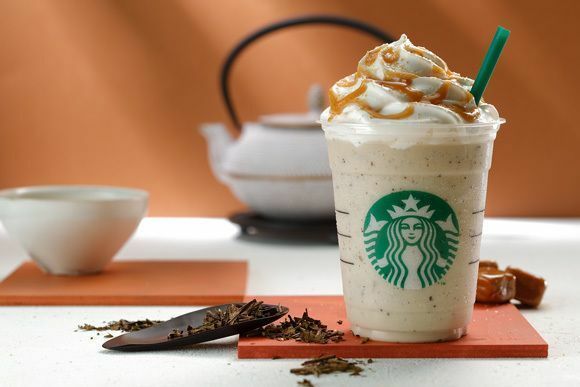 Starbucks Japan ได้ประกาศว่าพวกเขาจะปล่อย frappuccino ในช่วงฤดูร้อนใหม่ "Hojicha cream frappuccino with caramel sauce" ตั้งแต่วันที่ 15 กันยายน - 1 ตุลาคม 2017 อย่าพลาดโอกาสที่จะลองเครื่องดื่มฤดูร้อนใหม่ของพวกเขา! Within the TEAVANA™ series lineup, ほうじ茶 "houjicha" (roasted green tea) cream frappuccino with caramel sauce, is the most anticipated. The houjicha is made by roasting 5 different types of tea leaves. This original method for making the tea gives it its unique taste. You can enjoy this houjicha cream frappuccino with caramel sauce as a milky dessert. To add to the delicious flavor of the tea, there is some sweet white mocha and whipped cream, caramel, and crunchy sugar as a topping. Please enjoy this limited-time drink when it comes out!